Tonight the Bulls visit the New York Knicks in Gotham City for the final time this season. This evening's game is the last in a four-game season series, one in which the Bulls so far have gone 3-0. Last year the Knicks swept the Bulls, 3-0, but tonight Chicago has the chance to turn the tables. Tonight is also the last of a five-game home-stand for New York. The Knicks hope to build some momentum after coming off one of their biggest victories of the season, a 124-101 Saturday night thumping over Charlotte. 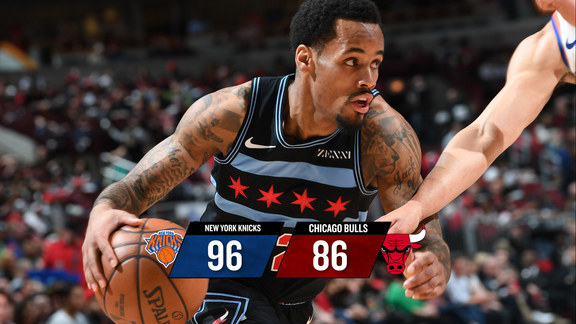 The win snapped a nine-game losing streak for New York (25-45), as they take the floor tonight a half-game ahead of Chicago (24-45) in the overall league standings. A stout defensive effort by New York proved to give them the winning edge over the Hornets, who had been shooting the ball well over their previous couple of games. The Knicks came out of the gates scrappy and held Charlotte to just 37-percent from the field, including 27-percent from downtown. The Knicks also did an excellent job of keeping 8-time All-Star Dwight Howard in check, holding the 7'0” center to just 14 points after Howard had recently posted three 30-point games. New York starting forward Lance Thomas also shut-down one of Charlotte's top offensive threats, Nic Batum, holding the veteran wingman to just two points on 1-of-7 shooting. Chicago comes into tonight's contest having gone 4-4 over their last eight games, flip-flopping wins and losses all along the way. In each of their victories, the Bulls shot the ball well, but in each of their losses, there have been far more clanks bouncing off the rim than sweet-sounding swishes slipping through the nets. The Bulls came up short the last time they took to the hardwood, losing 114-109 to Cleveland on Saturday at the United Center. Chicago went toe-to-toe with the Cavs despite playing without key starters Lauri Markkanen (back spasms), Kris Dunn (sprained toe), Zach LaVine (knee tendinitis) and Robin Lopez (inactive), as well as reserve Noah Vonleh (sprained toe). Markkanen, Dunn and LaVine did not travel with the team to New York, so they will miss tonight's game, while Vonleh is, as of this writing, listed as questionable. To be fair, the Cavs were also playing short-handed as a number of their key players were missing over the weekend, however LeBron James wasn't one of them. James, as he has done so many times over his sure-fire Hall of Fame career, was nothing short of spectacular, posting his 15th triple-double of the year with 33 points, 12 rebounds and 12 assists. Cleveland's Jeff Green added 21 points and newly acquired guard Jordan Clarkson also chipped in 19 to help the Cavs come out on top. Chicago's Denzel Valentine led everybody with 34 points (career-best), hitting 8-of-11 from long distance, while Bobby Portis added 15 points and 15 rebounds. 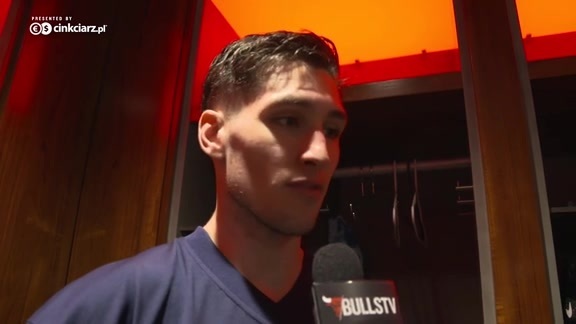 After falling behind by 17 at the half, the Bulls stormed out of the locker room and wiped out most of the deficit to trail by four entering the fourth quarter. Cleveland was able to run its lead back to double-digits early in the final stanza, however Valentine knocked-down another trey to knot the score at 99 with just a little over four minutes left on the clock. But down the stretch there was simply too much LeBron James for Chicago to overcome as the Cavs went on to complete its first four-game sweep of the Bulls since the 2005-06 season. In order for Chicago to right the ship this evening they will have to come out focused and determined. Recently the Bulls have been getting off to slow starts as their confidence seems to wane if their first few shots miss the mark. That simply can't happen tonight — especially since they won't be able to rely on Markkanen, Dunn and/or LaVine to provide an offensive spark. Those who do take the floor must keep their poise and continue to hustle and execute. Offensively, the Bulls will have to keep turnovers under control while at the same time constantly push the ball up the floor in a hurry and freely share it from player-to-player and from one side of the court to the other side. To that end they need to open up the floor, placing shooters evenly along the 3-point arc to force New York's defense to step outside and open up the paint. Once again back-up point guard Cameron Payne will take the reins of the team and he'll have to set his mind to attack-mode and look to take advantage of every opportunity to drive the ball right to the rim, and if the defense collapses on him, find an open teammate out on the wing who'll have a clear look at the basket. And speaking of the basket, as a team, Chicago needs to crash the boards hard at both ends of the floor. To give themselves a chance of surviving, the Bulls must take command of the glass, especially at the defensive end, as doing so leads to fast-breaks and easy scoring opportunities. In order to achieve these objectives Chicago has to play at a fast pace and force New York's defense into constantly shifting and covering a lot of ground. In drawing the Knicks outside and away from the basket, lanes to the hoop will open for the Bulls to try to exploit. It'll then become a matter of Chicago's attackers beating their defenders to the rim and/or getting fouled in the act. In short, the Bulls are going to need to be aggressive and play with an edge. To sweep the season series, Chicago has to be willing and able to outwork, out-hustle and out-execute New York in every phase of tonight's contest.